A group of children sit in a school room at desks. Unlike the other classes, here both boys and girls are together. Two women, their teachers, stand at the front of the class next to blackboards. There are pictures of fish and plants drawn on the blackboards. 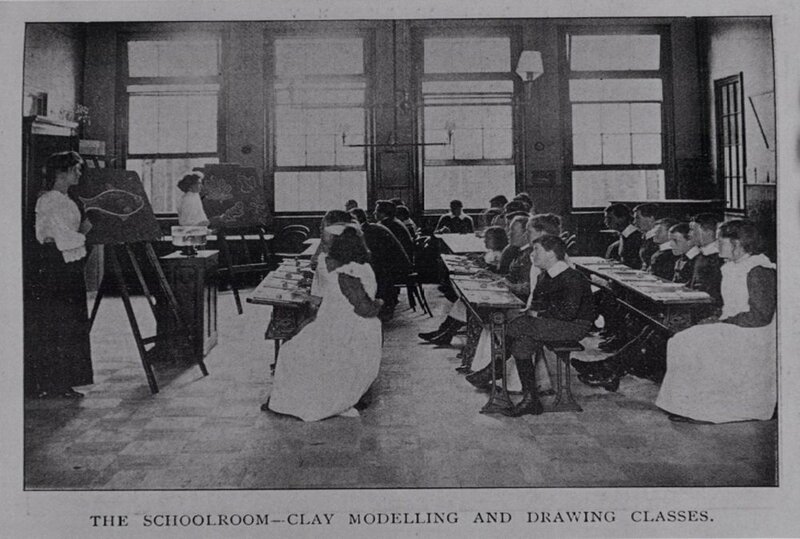 The children appear to have balls of clay on their desks.